Colder weather is settling in and lots of us are drinking more hot tea. 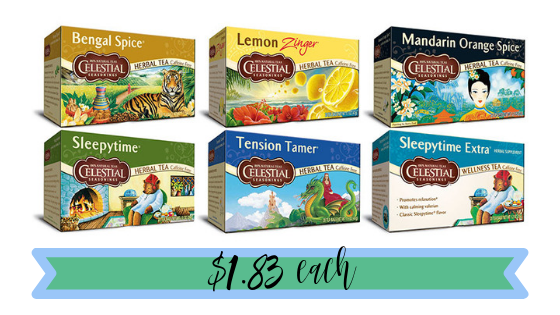 Right now at Target, Celestial Seasonings tea boxes are on sale for $2.33. Use a printable coupon and pick them up for just $1.83 per box!